Since the advent of online shopping, people have been prophesying the death of brick and mortar shops. It’s true that in recent years foot traffic in shops has fallen and online research is up (particularly on mobile devices), but brands and retailers can turn their online presence into an advantage on the shop floor. By using influencers, brands and retailers can connect with their customers, and offer them valuable content which will encourage them to visit in-store. The truth is that the relationship between in-store and online shopping doesn’t have to be competitive, but can be complementary. Let’s look at how brands and retailers can increase in-store sales by using influencers’ insights and understanding of their target market and their motivations behind making a purchase. Having an online presence is an opportunity for brands and retailers to connect with their customers, and ultimately this drives purchases. It’s vital to understand your target customers by finding out what they like, whose opinions they listen to and who they are connected with. As Eric Dahan puts it: “in essence, the idea is to understand the customer so well that you know what motivates them to make a purchase [and then you can] develop online content to guide them toward that destination”. So, what does drive us to make a purchase? Here’s where influencers come in. Because influencers have their followers’ attention, they can familiarize their audience with your brand or shop, and bring new eyes to your products. As we’ve seen before, influencers can profoundly affect their followers’ purchasing decisions; in this 2016 study, 40% of respondents said they had purchased a product online as a direct result of an influencer’s post. The ability to research products online before we buy them is another useful outcome of the internet age. We all do it – one survey suggests that 91% of people surveyed had searched for a product online before buying it. We know that product reviews help customers make purchasing decisions, but a post from someone they trust – an influencer – can drive sales even more: 49% of respondents said they relied on influencers when looking for product recommendations. Another major bonus of working with an influencer is the fact that they produce authentic content that’s exactly what their audience is looking for. Who better to create content for you than an expert in their field? Their field of expertise being your target audience, of course! Research into ad viewability has uncovered worrying statistics such as 56% of digital ads are not seen by humans, and only 50% of ads are viewable. Phenomena such as ‘banner blindness’ and ad blocking technology mean that traditional digital advertisements just don’t have the impact or reach that they once had. Spending money on advertising can feel a bit hit-and-miss if only half your adverts will actually be seen. In contrast, sponsored articles by influencers offer a completely different approach. This is reflected in their above industry average CTR of between 8 and 12%; a good indication of the interest that skilfully-created sponsored content can generate among its targeted audience. So, influencers can undoubtedly help boost brand recognition, but how does that translate to in-store purchases? Follow our guide below! The first step is to identify influencers in your domain. Make sure you take into account metrics, such as relevancy to your brand/product, frequency of posts, the average number of engagements per post, and audience size. Then connect with them and offer a sample of your product so they can share an authentic experience with their audience and offer their opinion. Provide them with editorial guidelines so that they can describe the product and brand accurately. It’s important to integrate a store locator within the post so readers can see their nearest shop and where they can purchase the products. Then start tracking! 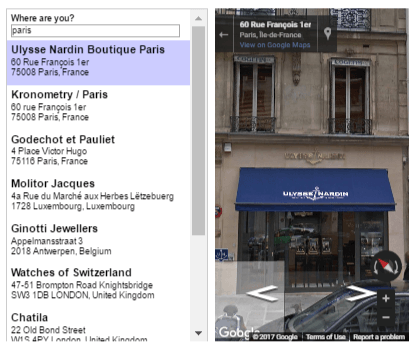 Measure the number of interactions on the post and the store locator, and the subsequent number of sales in-store. We can see how this can be put into action by focusing on Upfluence’s collaboration with a prestigious Swiss watch manufacturer. 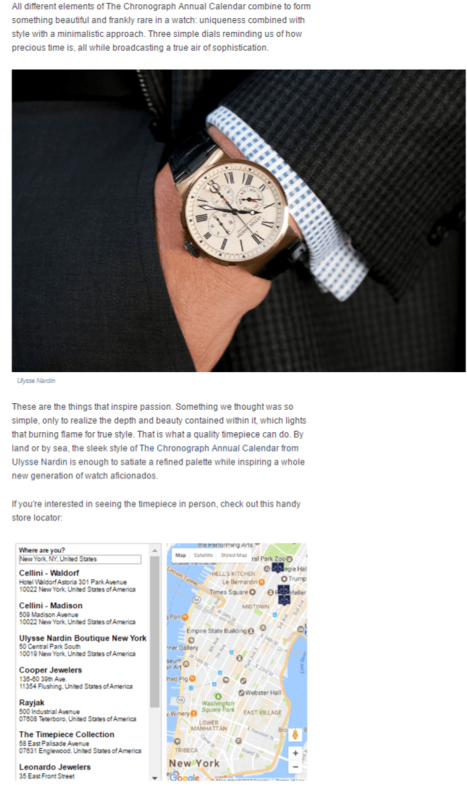 The goal being to widen the visibility and reach of a new watch collection on blogs and social media, increase online engagement with potential customers and convert views to sales by increasing the interactions on the store locator. With 15’592 views and 13’489 interactions the embedded store locator successfully drove qualified traffic to the nearby store where readers could find the newly released watch collection. The way retailers interact with customers and promote themselves online can be a fantastic opportunity to drive in-store sales – and by partnering with influencers, retailers can avoid wasting time and money on ineffective ads, and offer their customers valuable and authentic content which also highlights where they can make a purchase. Influencer marketing is a valuable tool which guarantees a wide audience, and by choosing your influencer carefully you can target your audience with precision, and profit from the trust and word of mouth factor which will benefit your brand and drive more sales.